ShutterstockIntermittent fasting is growing in popularity. Intermittent fasting is growing in popularity. Researchers conducted a study that examined the impact of the 5:2 on the body's ability to metabolise fat compared to a daily calorie restriction diet. Those on the 5:2 cleared fat more efficiently and saw a reduction in systolic blood pressure. However, the study was small, and further investigation is needed. 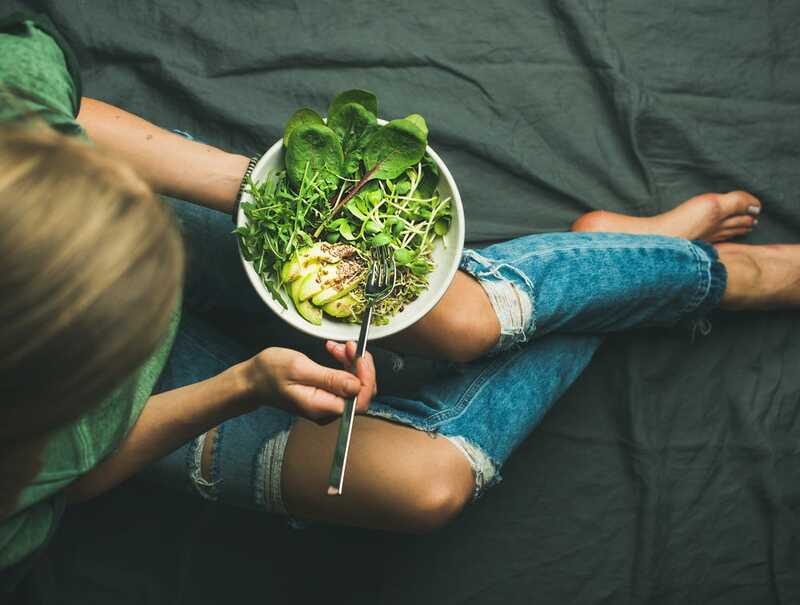 Intermittent fasting was one of the most talked about diet trends in 2017 - and now new research from the University of Surrey suggests that following such a diet could have real health benefits. In a study published in the British Journal of Nutrition, researchers assigned 27 overweight participants to either the 5:2 diet or a daily calorie restriction diet, and told to them to lose 5% of their weight. The study aimed to look at the impact of the 5:2 on the body's ability to metabolise fat and glucose following a meal and compared it to the effects of weight loss achieved by a daily calorie restriction diet. The participants on the 5:2 followed the regime of eating normally for five days and restricting their calories to 600 calories on their two so-called "fasting days." Meanwhile those on the daily diet were required to eat 600 calories less each day than their estimated requirements for weight maintenance - women ate approximately 1,400 calories and men ate approximately 1,900 calories per day. It's important to note the study was relatively small, and that 20% of each participant group dropped out because they either "could not tolerate the diet or were unable to attain their 5% weight loss target." However, of the participants who did complete the experiment, those on the 5:2 reached their goal of 5% weight loss in 59 days compared to those on the daily calorie restriction diet who achieved it in 73 days. The researchers found that those on the 5:2 cleared the fat (triglyceride) from the blood after meals quicker than those on the daily calorie restriction diets. They found no differences in the handling of glucose, but said they were "surprised to find variations between the diets in c-peptide (a marker of insulin secretion from the pancreas) following the meal, the significance of which will need further investigation." The researchers also found that systolic blood pressure (the pressure in your blood vessels when your heart beats) was reduced by 9% in those following the 5:2 diet, compared to a 2% increase among those on the daily diet. "A reduction in systolic blood pressure reduces pressure on arteries, potentially lessening incidences of heart attacks and strokes," the University said. Dr Rona Antoni, a research fellow in nutritional metabolism at the University of Surrey, said: "As seen in this study, some of our participants struggled to tolerate the 5:2 diet, which suggests that this approach is not suited to everybody; ultimately the key to dieting success is finding an approach you can sustain long term. "But for those who do well and are able stick to the 5:2 diet, it could potentially have a beneficial impact on some important risk markers for cardiovascular disease, in some cases more so than daily dieting. However, we need further studies to confirm our findings, to understand the underlying mechanisms and to improve the tolerability of the 5:2 diet."